After coming back from Taiwan, all that catch M's and my eyes are Taiwanese food stalls. I don't remember when we found it, but I sure as hell remember the refreshing and cooling sensation when the black purée first trickled down my throat. Actually, our first encounter with it wasn't the best; we had ordered the Jiufen version and we couldn't understand the little coloured purple balls. It didn't help that they were yam and the serving of red beans was way too generous. We were both avid haters. But we loved how the sweet grass jelly swished in our mouths and provided some respite from Singapore's unbearable weather. And the pearls were incredibly chewy but it didn't keep us chewing for an eternity, like Koi's. M and I are both stubborn mules. 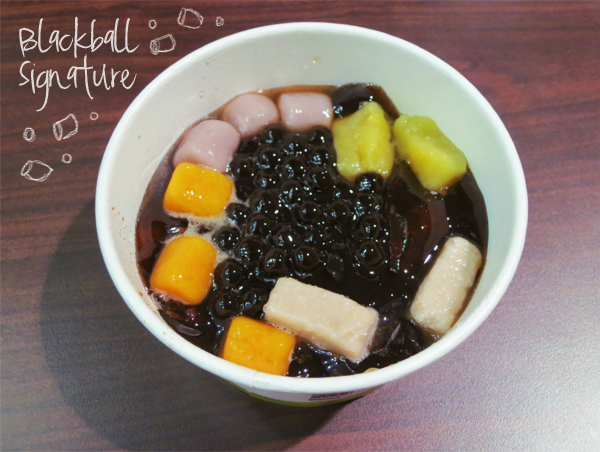 So while we could have just gone to the market and slurped down all the grass jelly we wanted, we opted to try out the Blackball Signature. 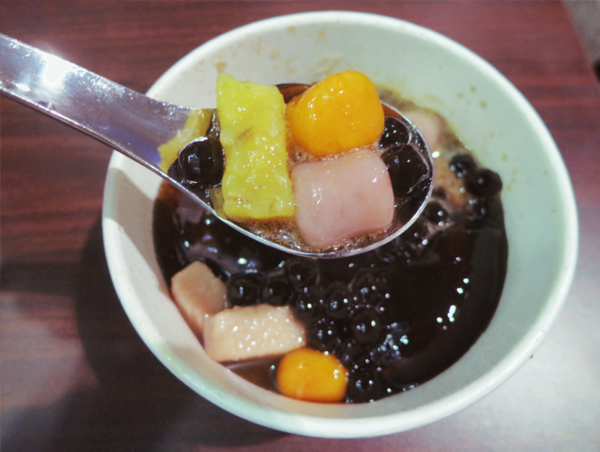 It had a mix of everything; pearls, grass jelly, various little coloured balls (Not just purple.) and of course, the too-generous serving of red beans. We got rid of the red beans and added all of the little creamer that accompanied it and whoo boy! Best dessert on earth ever award, people! 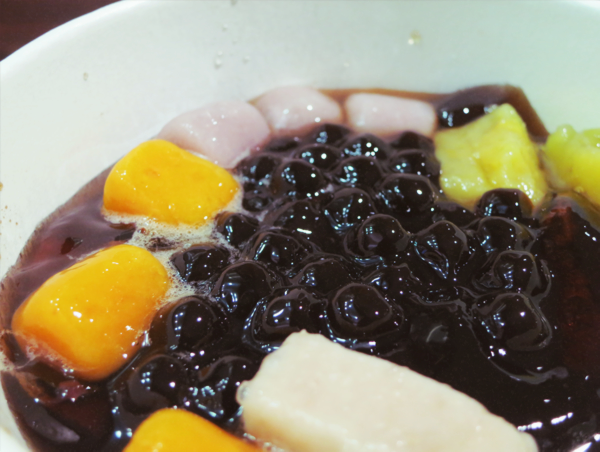 God knows how many times I have instagram-ed this dessert and how much tapioca is residing in M's and my stomach. But we don't care and we have big plans of having this everyday when we return to Taiwan next month! HURRAY! P.S. : It is A LOT nicer without the red beans because we feel that their taste just overwhelms and spoils everything. But then again, please bear in mind that we have deep-seated animosity towards those little things. P.P.S. : The creamer makes the dessert milkier, silkier and smoother. 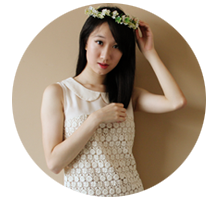 But then again, please bear in mind that M is a huge milk tea lover and I grew up on milk.